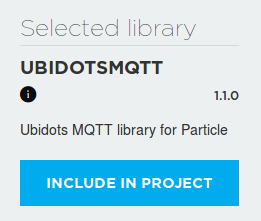 Learn to setup a Particle Device to SUBSCRIBE/PUBLISH using Ubidots Library in the Particle IDE over MQTT. 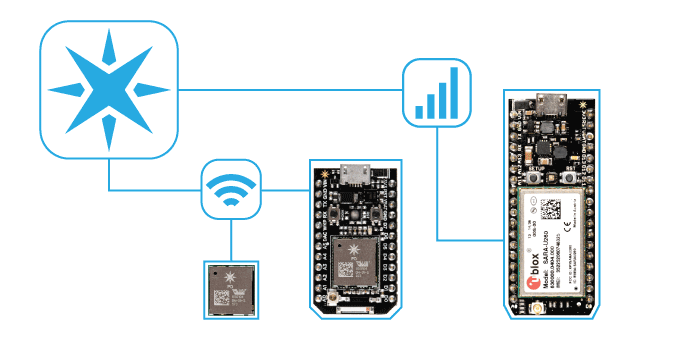 Particle devices are compact and easy-to-code hardware development kits that provide everything you need to build a connected project. They combine an ARM micro-controller, a communication chip (WiFi, GPRS or 3G) and a web IDE with tons of community examples and libraries. By following this guide you will be able to PUBLISH and SUBSCRIBE data to/from Ubidots using any Particle Device module in just a couple of minutes! If you are using a Particle Electron, please follow this steps to set up the Particle data plan. Particle Electron steps. Connecting it to your computer over USB. 2.- After claiming your Particle Device and setting up your Ubidots account, let’s go to Particle’s Web IDE. In the Particle’s Web IDE create a New App and set the name. For additional details to creating a New App, head over to this article and return once complete. Go to the library tab. In contributed library write Ubidots and select the UBIDOTSMQTT library. Make sure to add the last version library (1.1.0). This library create by default new Device. The name of this device will be "Particle" by default, and his label will be you Particle Core ID. To subscribe to a variable, you need to specify your device and variable lables as input arguments for the ubidotsSubscribe() function. The incoming value will be returned by the MQTT library in the payload variable, by default the subscribed function only gets the last value of the variable subscribed. Retain value feature is only available for core platform users.